500 puzzles in one game! 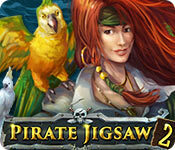 Pirate Jigsaw 2 is rated 2.7 out of 5 by 3. Rated 5 out of 5 by 2020moonlanding from Ahoy Matey! I love this developer's jigsaw puzzles. I have several of them including jigsaw puzzle beach season and jigsaw world tour: Asia which are my favorites. The gameplay is the same with varied features including the ability to modify each puzzle from the number of pieces you desire to whether you want the pieces to be rotational or not. You are given the option to begin with the border pieces before adding the rest of the puzzle pieces. You can have a ghost picture to make it easier to solve the puzzle as well. The only complaint I have is that some of the pics seem overly staged with cheeky actors in period garments. But there are so many pics to choose from that you can skip over them. There is a great variety of pics to choose from sea life, jewelry, tropical fruit, tall ships, to island landscapes to name a few. This is a great game to relax to! Rated 2 out of 5 by HeavenBound7729 from Just Another One To Throw Overboard! 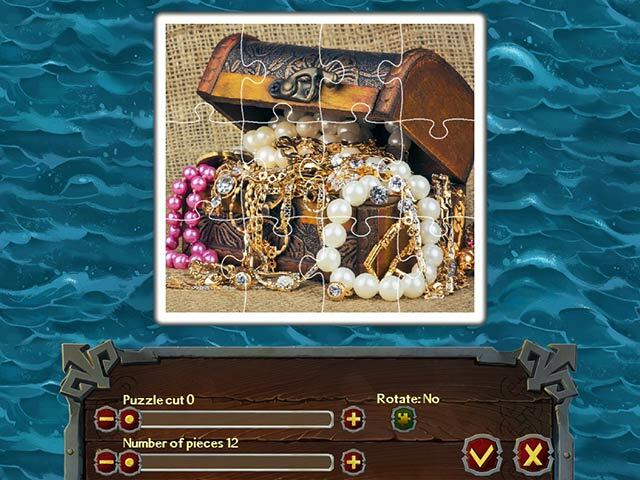 This set of puzzles is just a repeat of Pirate Jigsaw 1. It has all the same features and a cursor option. The background colors are the same. The pictures were bright and colorful but very uninteresting. This time it includes dogs wearing a piece of pirate attire (ridiculous), an odd animal (? ), an ugly green thing on a tree. They can just be added to the other disappointing things such as food, trinkets, staged objects, children and adults kind of dressed as pirates, a pretty model, etc. Oh, there is a scant amount of nice puzzles of scenery and ocean creatures, a couple of parrots and ships and treasure chests. However, again, there is nothing here that makes me want to spend time or $$ on it. How difficult can it be to create puzzles that are appropriate to the theme? I guess the developers don't read the reviews, otherwise they would know the puzzle lovers have become unhappy campers! It has been a VERY LONG TIME since we have seen the quality jigsaw puzzles at Big Fish. If you are not a picky puzzle geek like me, you will surely enjoy Pirate Jigsaw 2, as there are lots puzzles and variety of sizes to choose. I just can't honestly recommend it. Rated 1 out of 5 by pennmom36 from WHO KNOWS, MAYBE PIRATE JIGSAW 3 WILL HAVE PIRATE THEMED PUZZLES Pirate Jigsaw 1 offered 500 puzzles that had very little to do with pirates, and now, a month later they are offering Pirate Jigsaw 2, which also has very little to do with pirates. 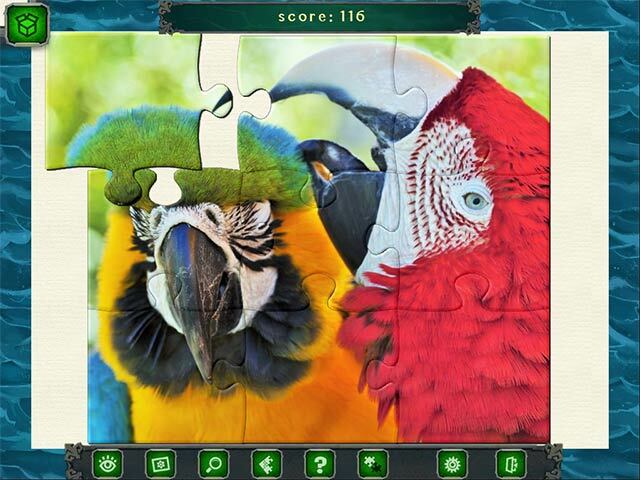 Who knows, maybe Pirate Jigsaw 3 will actually have pirate themed puzzles! Just because they throw in a handful of pictures with people wearing a pirate hat, it doesn't make this a pirate themed game. The same scenario happened with Jigsaw Puzzles Beach Season, which had a whole bunch of pictures that had little to do with beaches. The puzzles offered here are just okay pictures, and almost all of them are staged items like fruit, flowers, animals and food. Some of the puzzle pictures are nice, but most of the pictures aren't appealing and if the pictures aren't interesting the puzzles are worthless. To make matters worse, nothing ever changes with puzzles by this dev, and I doubt they ever will. There are 5 different boxes of puzzles and each box has 100 different puzzles for a total of 500 puzzles. You can Ghost the image on the background or hang a picture with 3 different sizes, and you can change the resolution and the background colors of green, pink, blue or gray. There is a Box to store extra pieces in, and you can Sort the pieces into the general location, and choose just Border pieces. There is a Magnifying Glass and a Hint feature as well as a Top Score tracker. My favorite feature allows you to Modify any puzzle with the number of pieces you want, the shape of the puzzle pieces and whether or not you want the pieces to rotate. 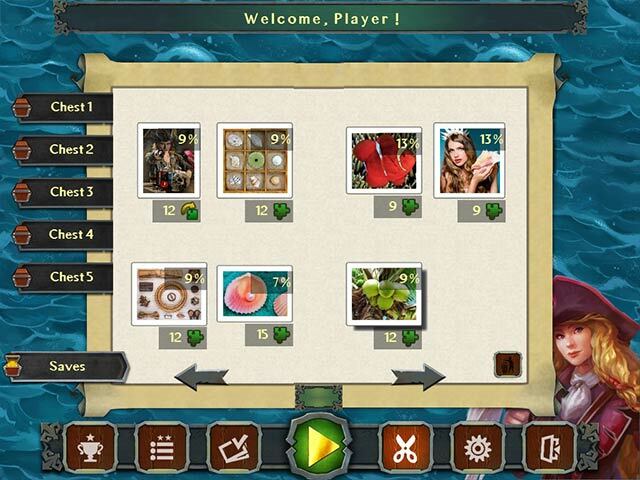 I use the Modify feature with every puzzle so I can choose how many pieces I want to assemble. I don't understand why these devs present these cookie cutter versions, over and over, without EVER changing a single feature. Once again, here are 3 features I would love to see offered or changed, all of which seem like easy fixes in my opinion: 1-WALLPAPERS....why on earth isn't there a feature that allows the player to set any of the finished puzzles as wallpapers. Instead, they are one and done, don't look back puzzles, there's not even an option to look at the puzzle once they have been completed. 2- SORT....when you select the sort option, the puzzle pieces shuffle around into little random piles that seem to have no rhyme or reason, and definitely not what I'd consider sorted. The only thing I can figure, is that they are sorted to the area they belong (top right, bottom right) Wouldn't it be cool if there were options within the sort icon, to be able to choose if you want the pieces sorted by area, color or shape, and above all, sorted so the pieces were sorted on the outside edges, not smack dab in the middle of the border and around the edges! 3-PUZZLE STYLE.....this is a biggie folks, how about an option for puzzle style such as squares. Last year I bought an older puzzle game called Jigsaw Mania, and I play this game everyday. That game allows you to customize every aspect of the puzzle, including the ability to listen to your own music. You can download pictures from the internet, and your own photos as well. You can save them and use as wallpapers, you can even email them to a friend so they can do the puzzle as well. The feature I love most of all, is the availability to choose each puzzle style, wavy, shaped, regular jigsaw pieces in small, medium and large, flower shaped pieces that are the same on every piece etc. I never expected that I would become addicted to doing puzzles where every piece is a small square, approximately 1/4" squared. It makes the puzzle challenging and way more interesting! I don't recommend this cookie cutter jigsaw puzzle, or any of the other puzzles by this dev. The only way they're going to change the features offered, is if we refuse to except the same features by not lining their pockets!